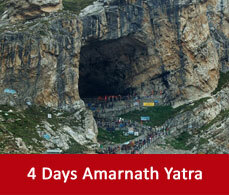 The climate in Amarnath fluctuates quite frequently. 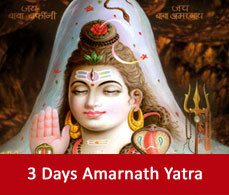 But a detailed guide of seasonwise weather of Amarnath has been shared with you so that you can choose the right time. Summer commences from May and ends in October. It is pleasant with cool atmosphere. Average temperature records around 15°C. 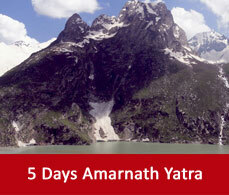 Summer is an ideal time for this yatra and the best time for this sacred yatra is from April to October. Rain spells are quite expected there during the monsoon. But during the rains the curved paths become slippery and it gets a little more risky. Winter hails from November to April. Snowfall is quite frequent during that time of the year. Temperature records below -5°C. The region remains fully covered with snow during this time of the year.